Media Credit: GW Hillel's current building at 2300 H St. will spend two years under construction. Hatchet File Photo. GW Hillel’s current building at 2300 H St. will be under construction for two years. Hatchet File Photo. 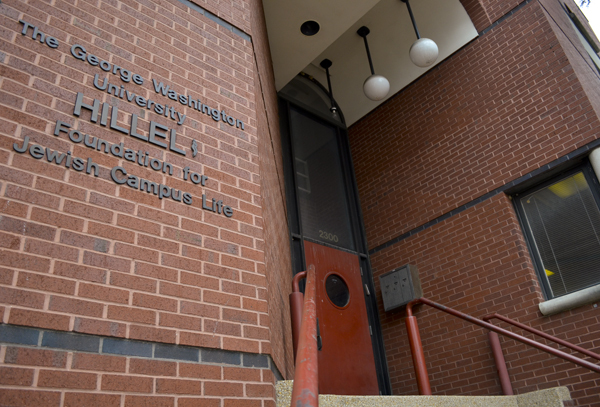 As its H Street building undergoes a multi-million dollar renovation, GW Hillel will take over offices in the University Honors Program townhouse for the next two years. The Jewish life hub will operate out of 714 21st St. until January 2016, the organization announced in an email Monday. “With Kogan Plaza as our backyard, we couldn’t be more thrilled with our new location at the heart of campus,” the email stated. Hillel’s 30-year-old student center will double in size by the time renovations are complete. The new building will boast four above-ground floors, and the University will lease two of those floors for student space. The renovations will allow the organization to step up programming and will also give Jewish students on campus the option to eat on a Kosher meal plan for the first time in several years.